You’re engaged, getting married, about to enter wedded wonderland, with champagne and floral celebration! Designer Bridal gowns for your wedding day, a wedding dress for a beautiful bride to be. 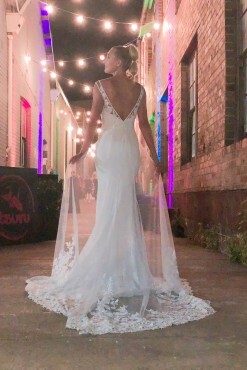 You’ll love Jean Fox Bride lace, fitted bodice, off the shoulder, modern & classic, catwalk inspired, fishtail, lace train, chiffon, tulle, ballgown, mermaid, sweetheart, v neck, a-line bridal dresses, garden wedding, boho brides, boat neck, blush & pink. A designer dress without the couture price. For wedding fashion inspiration – Allure, Sophia Tolli, Fairytales, Pronovias, Berta, Essense, Stella York, Demetrios, Paolo Sebastian, made with love, Maggie sottero, grace loves lace, and for wedding ideas say yes to the dress at Fox bridal. Whatever silhouette you choose, glam or glamorous – you and your bridesmaids will fall in love. Say I do in a romantic bridal dress from Jean Fox and we hope you’ll live happily ever after. Enjoy wedding dress shopping!